Nightlife in Palermo A Night of Culture, Dancing, Drinking & People. 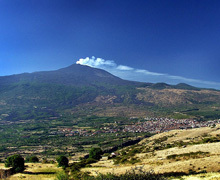 Mountain Etna Journey to Mountain Etna From Palermo. 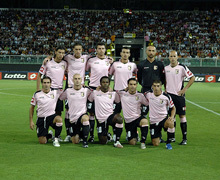 Palermo soccer team One of Italy’s most prominent football organizations. 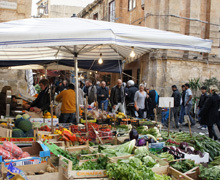 Outdoor markets The outdoor markets in Palermo are a sure crowd pleaser. Churches Palermo’s Churches are uniquely beautiful. Beaches Discover the beaches of Palermo. 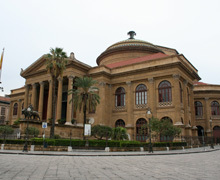 Opera houses See High-Quality Italian Opera In Palermo. 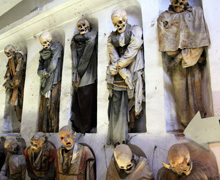 Catacombe dei Cappuccini The Freaky Yet Fascinating Catacombs of the Capuchins. Squares Embrace Palermo’s Piazza Culture. Palermo.com is your one stop portal for everything Palermo, Italy. If you are planning a trip to Palermo or Sicily you can find everything you need to know before you leave the United States or any other country you reside in. 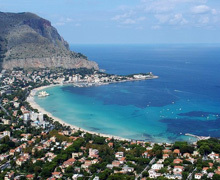 Use our resources to get to Palermo including finding a flight and travel agent to help you plan. 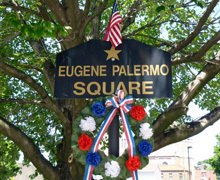 Read about the upcoming events in Palermo. 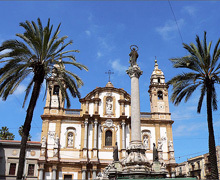 Read reviews from other customers and book your hotel through our Palermo hotels directory. Plan things to do in Palermo as well as surrounding cities and attractions such as Bagheria, Monreale, Catania and the beaches. And don’t forget to map out the restaurants, pizza parlors and gelateries you want to visit while on your trip. You can see daily updated Palermo weather right here on this graphic or you can also visit our dedicated Palermo weather page and read more about weather in Palermo. Don’t forget to visit our Palermo soccer to get all the latest news from Palermo soccer(football) team. We will cover all current progress of the team and their results/transfers.